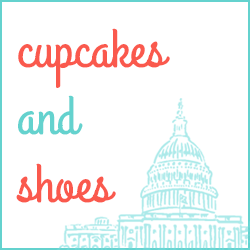 A couple of years ago, after a breakup, I joked that this was now a crafting blog. I guess I wasn't all that heartbroken because back then I still thought crafting was for moms and teachers, and by Valentine's Day 2012 I was pretty much okay with being a Singleton again. While this is certainly not a crafting blog now, crafting definitely was my coping mechanism after my breakup last summer. 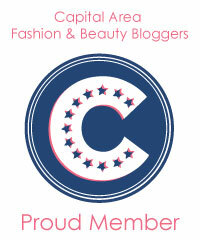 I never thought I would be blogging about DIY stuff, but now that I'm over the heartbreak hump, I am a DIYer 4 LIFE y'all! I spent all my *breakup money on crafting supplies. I believe I chose my breakup purchases wisely. *The undetermined amount of money you let yourself spend on frivolous things because it's therapeutic and you'll deal with the credit card debt **later when you're in a stable state of mind. **After the mourning period, determined by halving the amount of time you were in the relationship: x/2 = crazytown. I started out making coasters in hopes of launching a flea market business, but that didn't work out as well as I hoped it would. Maybe I'll try again this spring. We'll see. As a result, I have a lot of beautiful scrapbooking paper. While I'm kind of over making coasters for now, I still enjoy finding ways to use the paper. And because I love sending valentines to my friends, Valentine's Day was an obvious outlet for my creativity this year. First I bought some blank cards and envelopes (24 for about $4 with my coupon -- you can find lots of other options here). 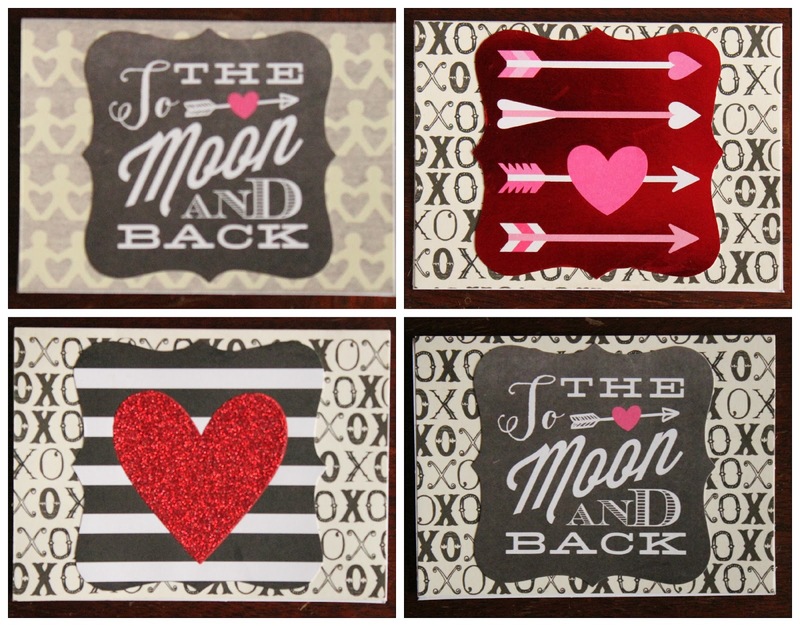 Then I used a 40% off coupon to get these CARDS in an INSTANT love-themed appliqués. Besides the scrapbooking paper I already owned, these were the most expensive item I bought. But with the coupon (used on a different trip), they cost me about $5. Half of them were square, but I liked the shape of the others, so I cut the square ones to match. I also bought some stickers, about $2 for each pack with a 40% off stickers sale. I started by cutting rectangles to glue (with a glue stick) on the front of the cards. 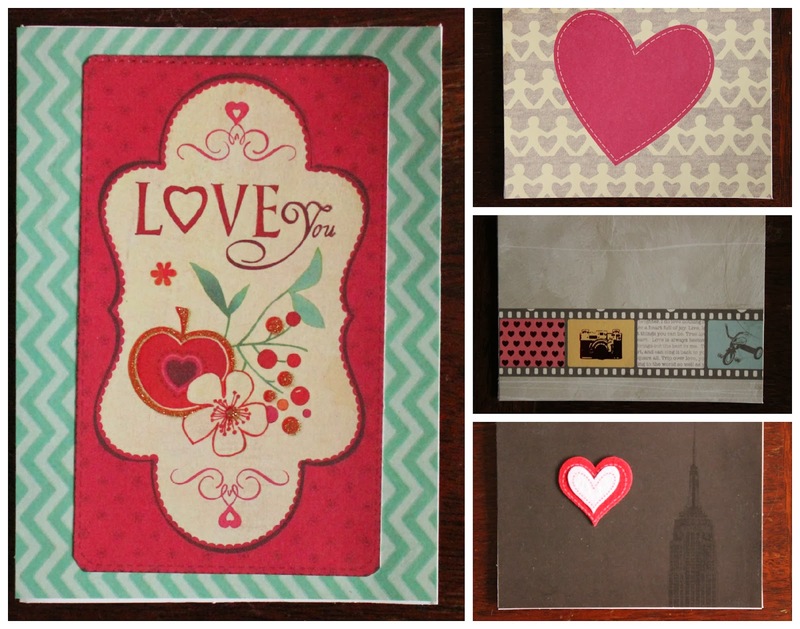 Because I have so much paper, I searched for reds and pinks to make backgrounds, and whatever else conveyed love. That was a fun scavenge hunt! 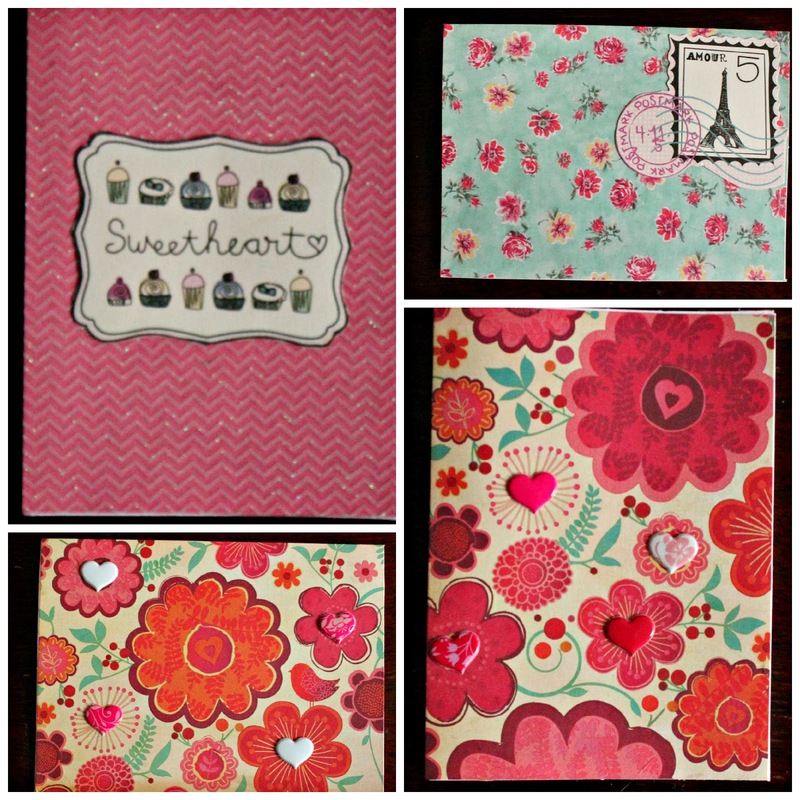 I had a few pages from a Parisian-themed book with these sweet nothings on them -- "Sweetheart" and "Amour" -- that I thought would make cute decorations for a few of the cards. I also found this floral paper that had heart centers in a few of the flowers, and I added some pizzazz with heart stickers. 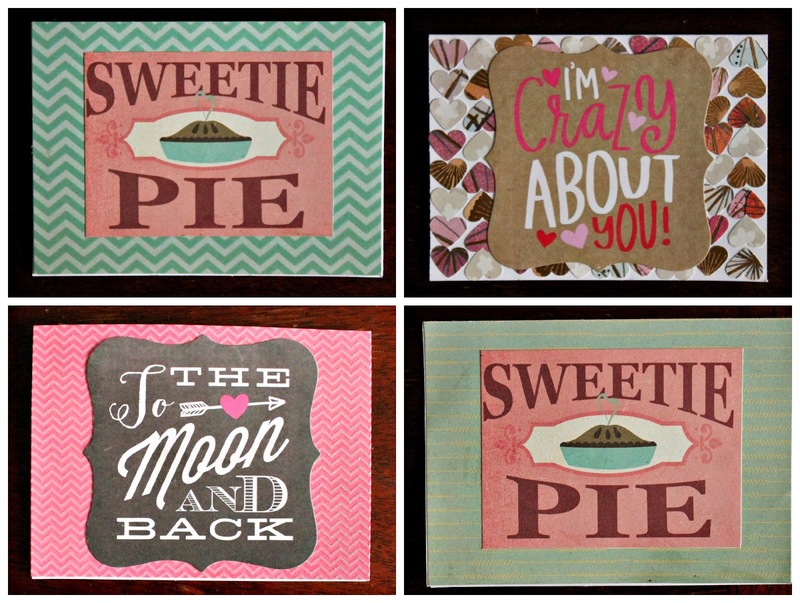 The "Sweetie Pie" ones are my favorite! I thought about sending them to my nephews but decided against it -- I've got them thinking I'm sort of cool right now and don't want to ruin it. The one in the upper right took a lot of time, since I used a heart punch to cut all of those little hearts, and then I had to paste each one on. I wanted to do a few valentines like this, but one was enough work! I'm sending it to my craftiest friend who I know will appreciate my effort. A couple of friends got a sneak peek of what I was making, and these were by far the most liked. I don't know why we all love owls so much lately, but I'm on the bandwagon! 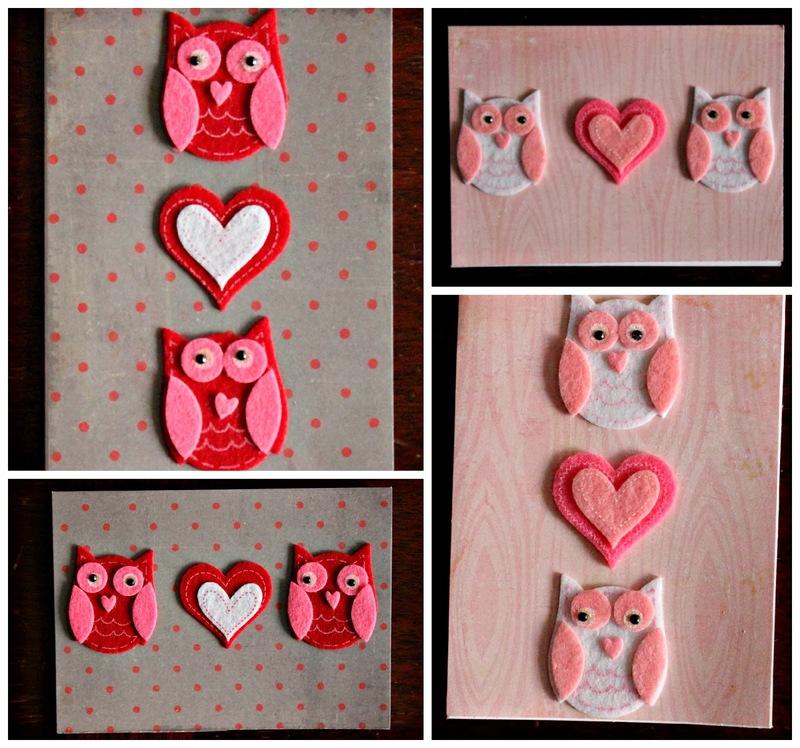 These felt stickers were pre-made, a super easy way to make cute valentines. 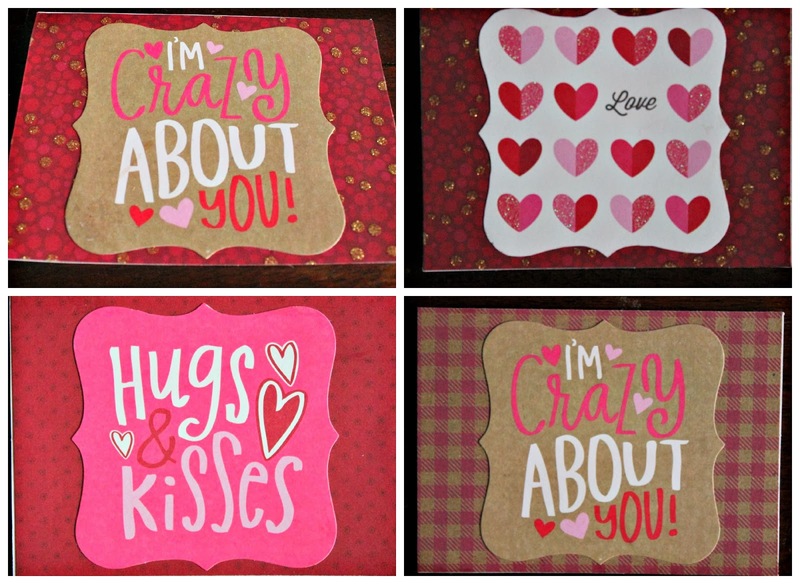 These were the rando valentines, but I love how they turned out! I sent a couple of these to my nephews since they were a little more masculine...as much as you can get with valentines anyway. 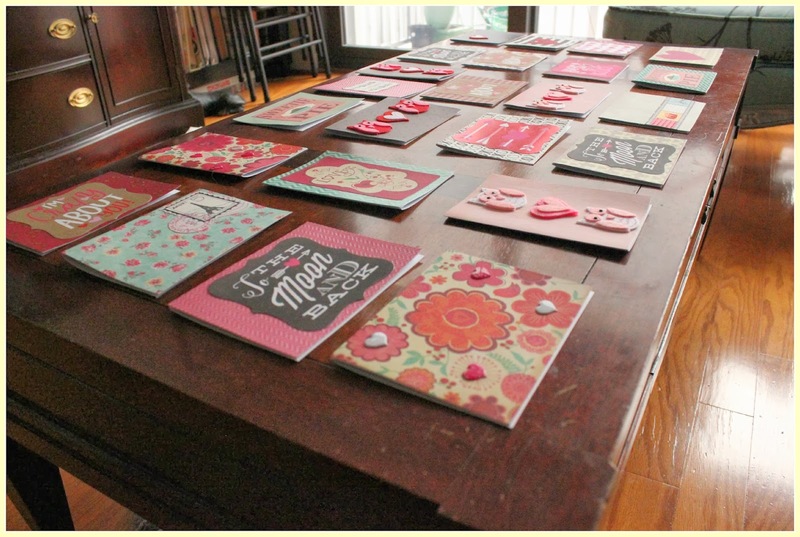 This project cost me about $10 (minus the scrapbooking paper I already owned) and took me about a week to finish (I worked on them incrementally while watching TV after work -- okay and I left a Super Bowl party to make them). If you're feeling suddenly inspired, you'll hit great sales at Michael's this week, and you still have a couple of days to make them! 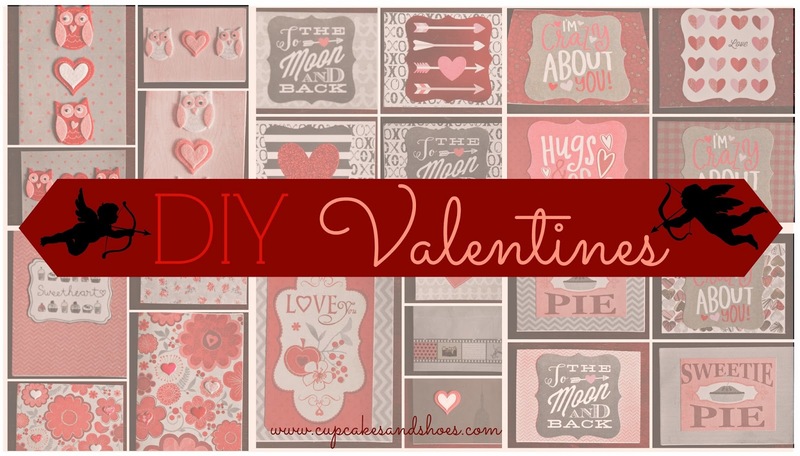 Or you can always buy some ready-made, because either way, your recipients will be delighted to receive a valentine from you. Besides my friends and nephews, I'll be sending three of them to Hey Love Designs readers through her Snail Mail Exchange...including one in the UK! How much fun is this? Thanks! I love that place! These are all so cute!! I love them. Super cute!! I just put all mine in the mail, it's by far my favorite part of Valentine's Day each year!